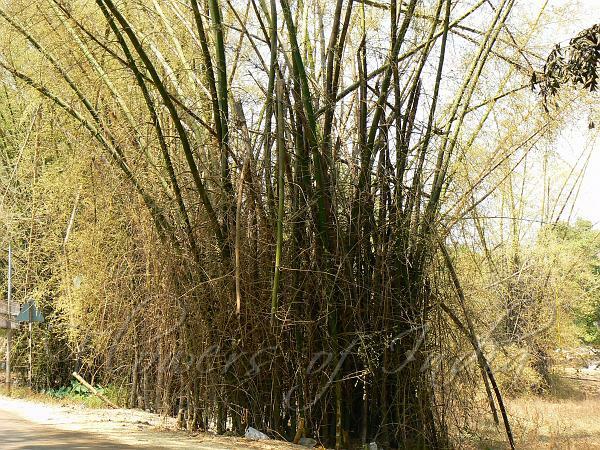 Indian Thorny Bamboo is a soft, thick-walled bamboo which grows very fast and tall. The shoots are edible. Thorny lower branches are long and wiry. Leaves are lanceshaped, 7-18 cm long, 1-1.8 cm wide, with a long-pointed tip. Clump bamboos have underground stems that sprout vertical shoots much closer to their parent plants, growing slowly outward. Thick wall with flexibility comes in useful for construction materials, scaffolds, and handicrafts. 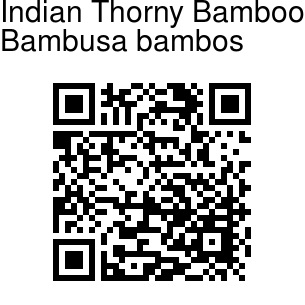 Indian Thorny Bamboo is native to India and China. Photographed near Bhaja Caves, Lonavala, Maharashtra.